Adrian (Philosophy) and Kelly (Geology) core a European Larch for an ecological response study using tree-rings. 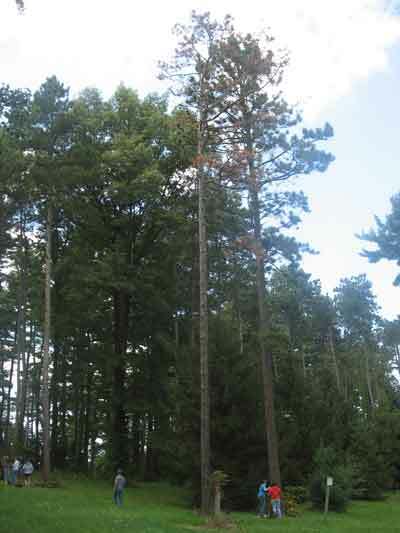 The class will compare how various trees are responding to climate variability over the last 100 years or so. The site is the Secrest Arboretum of Ohio State University's OARDC. We thank Ken Cochran, Director of the facility for permission to do this study. 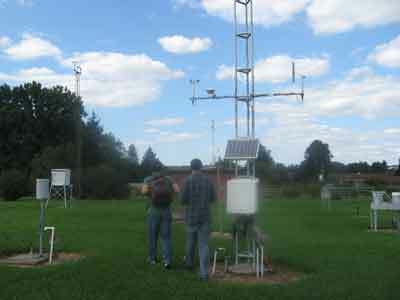 Travis and Adrian at the OARDC Meteorological Station. After the class develops tree-ring chronologies they will compare the ring-width series to the long (>100 year) record of monthly temperature and precipitation records from this site.